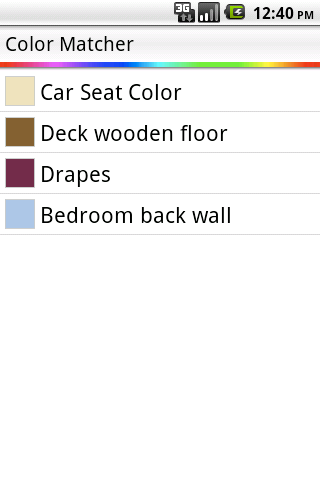 Color Matcher is a mobile color management application that helps you keep an organized list of colors, with associated title and description, that you can browse anytime and anywhere. When you take a picture with your device, the colors usually don't reflect the real color of objects. 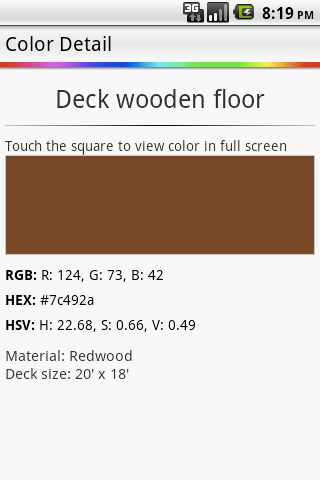 This applications lets you choose a color and adjust it to match the real color of the object to what you see on the screen. You can start fresh by using the color picker to adjust hue and saturation of the color, take a picture to obtain a base color from it and then adjust the tone in your screen so that it matches the real color of the object, or input RGB or HEX values. Add multiple colors and assign a title and a description to each one. 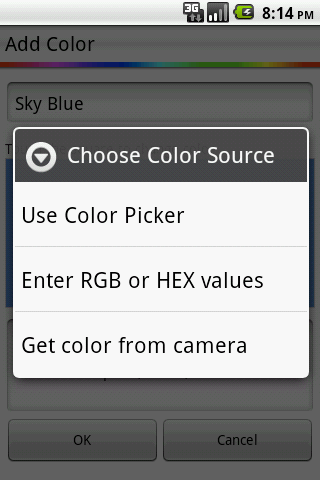 Choose the color with a touch using the Color Picker, or use your device's camera to obtain a color to start from. 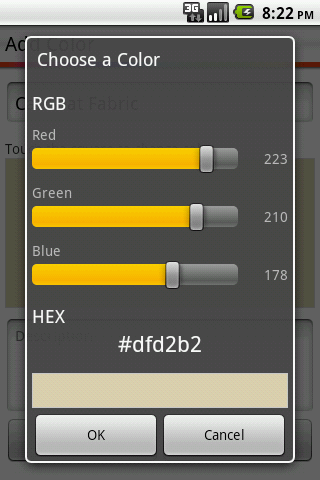 View any of the saved colors from a list and browse the details you saved as well as its RGB and HEX representation. Edit your colors and their title and description as you wish. 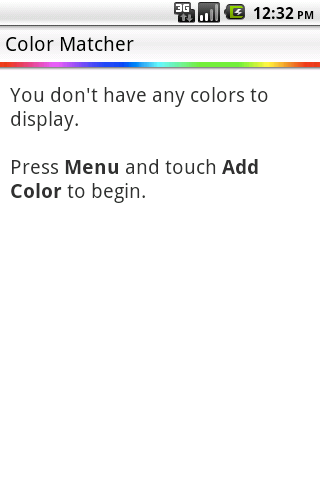 View your saved colors in full screen. 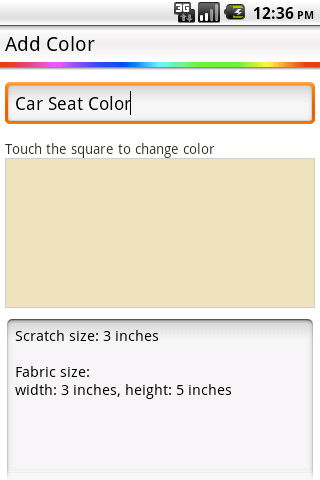 Touch and hold on a color in the list view to edit or delete it. Press menu on the color detail view to edit or delete it. 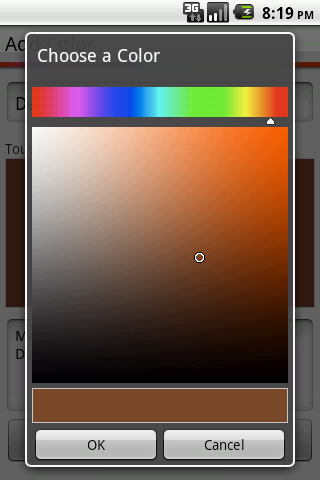 Select a region of the captured picture to get the color from. This will allow to get the average color of a specific part of the image.